Ask most people what they know of Madagascar and they’ll probably tell you something about the highly successful eponymous animated film series. While the popular movies certainly brought the Indian Ocean island nation to the attention of the global populace, there’s so much more to this unique African travel destination than a colourful movie with a cast of hilarious animal characters. From idyllic white sand beaches to thrilling rainforest excursions and from fascinating cultural encounters to intriguing wildlife species, this large African island provides its visitors with some of the most unforgettable African travel experiences possible. Perhaps the most iconic of all Madagascan animals is the iconic lemur family, which consists of a wide and diverse variety of different lemur species. To catch a glimpse of these intriguing creatures in their natural habitat, we’d recommend a lemur-trekking safari with a trained guide through one of Madagascar’s national parks, such as the Andasibe-Mantadia National Park, which being only a 3-hours’ drive from the capital city, Antananarivo, is convenient and very accessible for most travelers. 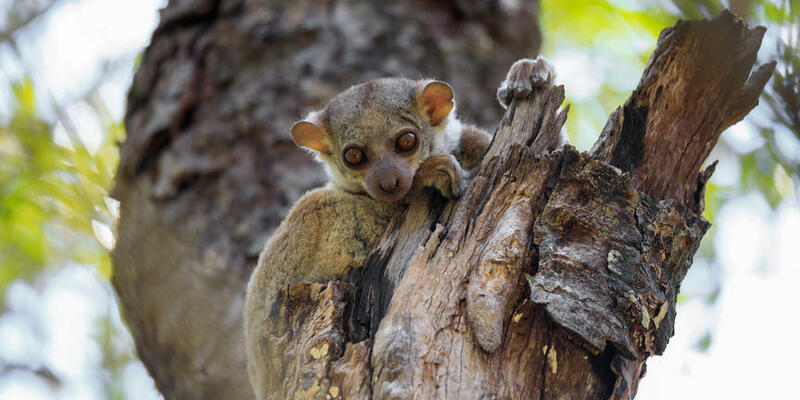 An added bonus of visiting the Andasibe-Mantadia National Park is the opportunity to see Indris – the largest of all the lemur species – in the wild. Well known for their loud, distinctive and eerily beautiful calls, the Indris will provide a hauntingly memorable soundtrack for your Madagascan rainforest adventures. And by staying at the beautiful Vakona Forest Lodge, situated within the park’s borders, you’ll be provided with maximum opportunities to witness for yourself the incredible Madagascan wildlife that reside in the protected forest. 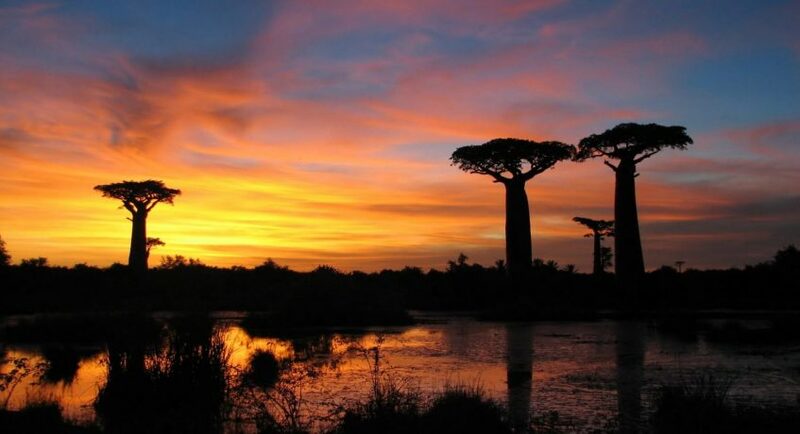 Besides the island’s incredible animal species, Madagascar is also home to some of the most surreal and beautiful landscapes you could ever have the pleasure of visiting. Perhaps the most famous of the African country’s landscapes is the Avenue of the Baobabs, a road that’s majestically lined by towering Baobab trees. Another iconic Madagascan landscape can be found at Tsingy de Bemaraha National Park, which contains the spiky rock formations that consistently feature in guides and lists of Madagascar’s best highlights and natural attractions. The scenes described above (in addition to a host of others to be found on the exotic island nation) provide ideal photographic opportunities; so make sure your camera has loads of space for all the photos, videos and selfies you’ll want to snap. Off the northwest coast of Madagascar lies an island called Nosy Be (large island in the local Malagasy language). Nosy Be is the country’s largest and most visited tourist resort. Idyllic beaches lined by sloping palm trees characterize the small island, which hosts a number of excellent hotel and accommodation options to give your Madagascan adventure a real luxurious touch. A number of smaller islands surround Nosy Be, which combined, provide outstanding opportunities for watersports, snorkeling, fascinating cultural exchanges in the local villages and enjoying some delicious leisure time along the turquoise waters and white sand beaches of this Indian Ocean paradise. Would you like to experience some of Madagascar’s unique treasures for yourself? Email us on info@travelrepublicafrica.com to find out more about the custom Madagascar travel packages and tours we can arrange for you.